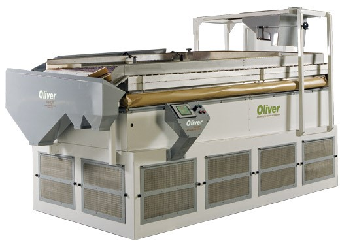 Satake are the Australian agents for Oliver Manufacturing, USA. We are pleased to bring the latest in Gravity Separation to Australia. Taking productivity to a whole new level. The Voyager is the first completely automated gravity separator with some important plusses: heavier frame to essentially eliminate vibration, quieter fans that create more air for a cleaner, healthier working environment and more precise separation. Plug and play electrical design to simplify both ease and cost of installation. Better maintenance access and improved serviceability. 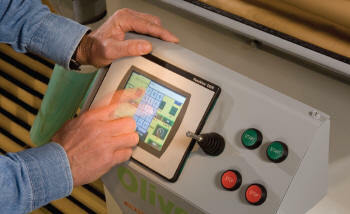 And the automated controls promote precision, repeatability and ease of use. 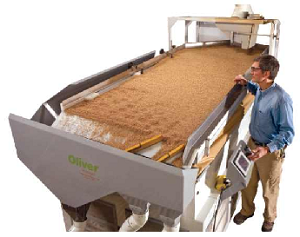 The Voyager joins Oliver’s new generation of power controlled, fully automated gravity separators. Built on our legendary rugged chassis and components, Voyager introduces an unparalleled number of adjustment points and power automation to simplify the purification setup. 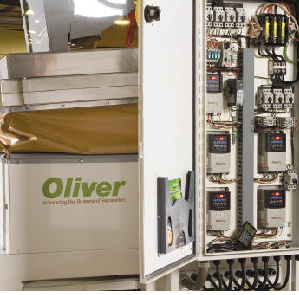 Programmable Logic Circuitry with a pre-loaded menu of up to 20 separation “recipes” means faster and simpler changeover between different products, and optimal separations from even the most minimally-trained operator no matter what your density separation, size separation or contaminant removal needs. Fully integrated state-of-the-art Allen Bradley electronics simplifies installation and troubleshooting. Voyager’s plug-and-play design and process automation make it a natural to integrate into the most complex plant automation strategies.